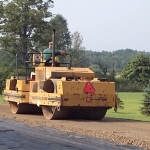 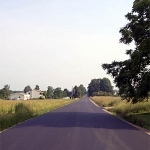 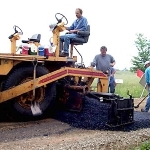 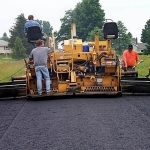 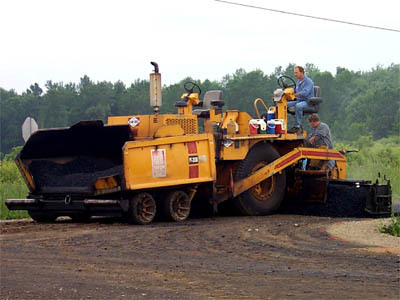 Friday, June 27, 2003, Russell Standard, the successful bidder for the last phase of the project, began by grading the sub-base gravel to the proper crowned profile for the application of the 3″ ID2 base course to be topped with 1.5 ” ID2 wearing course. 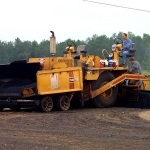 The first six photos show various operations during the application of the ID2 base course. 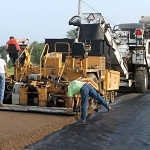 The last two photos show the finished pavement. 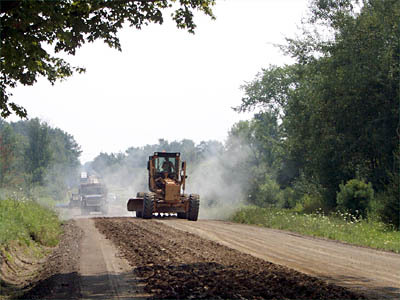 The last operation for the contractor, Russell Standard, will be to place the gravel shoulders using a pavement widening machine. 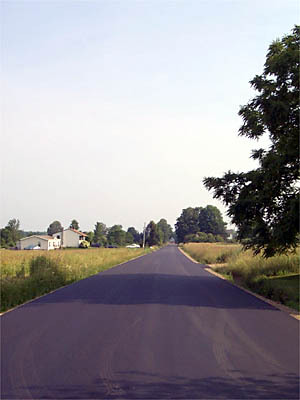 Pictures taken June 30 and July 3, 2003. 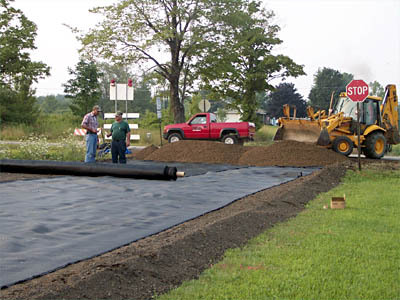 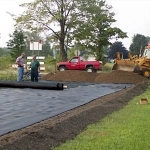 Tuesday, Aug. 13, 2002 work began on the installation of the geotextile fabric and the sub-base gravel. 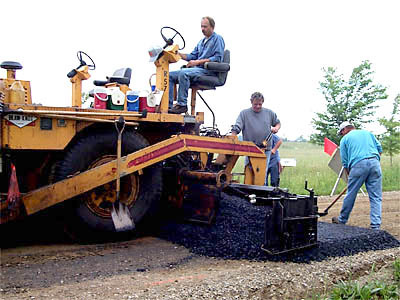 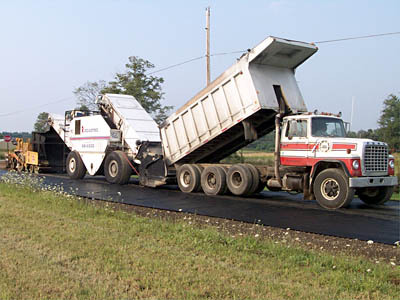 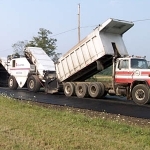 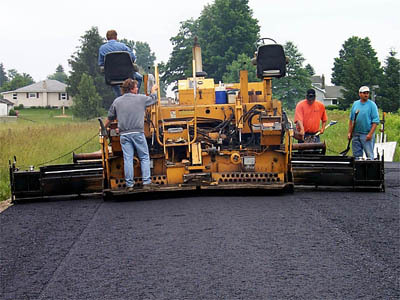 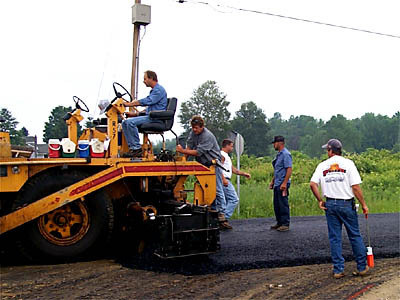 First the road is scarified to provide a rough, non-slip surface. 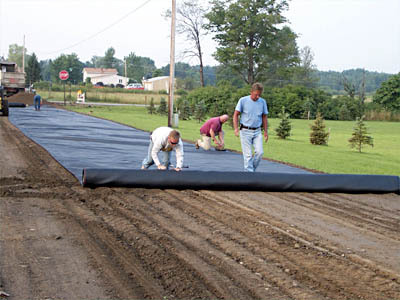 Then the geotextile fabric is laid. 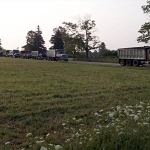 Fifteen trucks were lined up ready to dump. 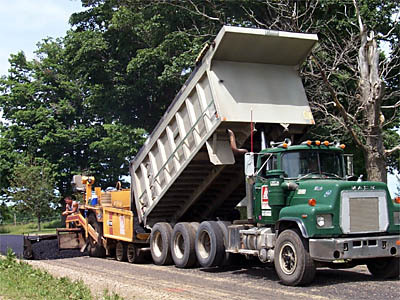 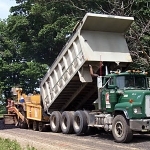 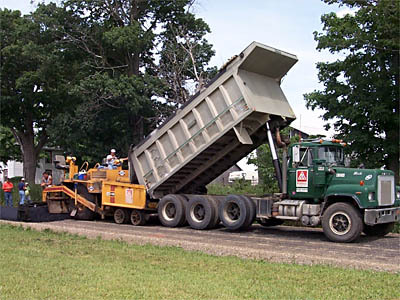 The trucks dump gravel into a Roadtec “Shuttle Buggy” that provides additional mixing and transports the gravel into the paving machine. 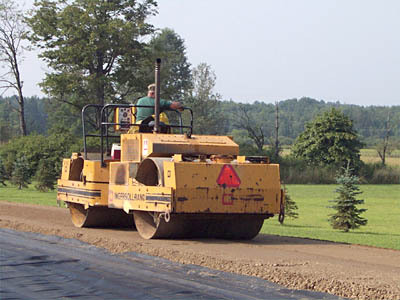 Following the paving machine is a steel-wheeled vibratory roller to compact the gravel to maximum density. 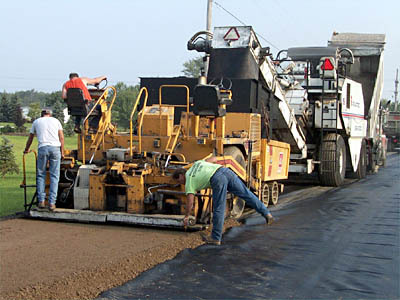 Two layers of gravel was installed to create a sub-base of 8 inches. 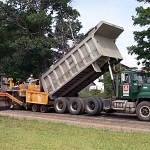 The sub-base installation was completed Aug. 16. 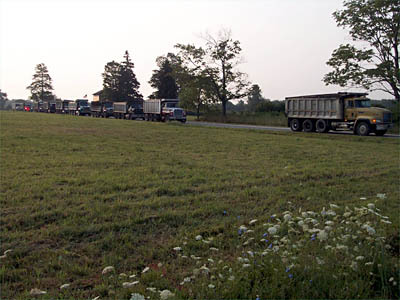 Pictures taken August 13, 2002.